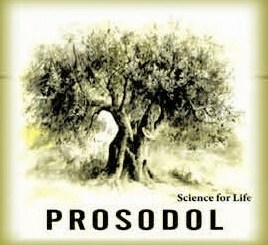 The 3-days Final Symposium of PROSODOL was organized on 16-18 October 2012 in Chania, Crete with the participation of many scientists from Greece, Italy, Spain, Portugal, Cyprus, Turkey, Israel, Romania and Norway. The morning sessions were in English and scientific and research works on the subject of the symposium were presented. The afternoon sessions were in Greek and Greek scientists as well as representatives of the industrial sector presented to local stakeholders, mill’s owners, scientists, students and local authorities the progress in science on the issue “Olive Mill Wastes” as well as the environmental impacts of the uncontrolled disposal of OMWs. 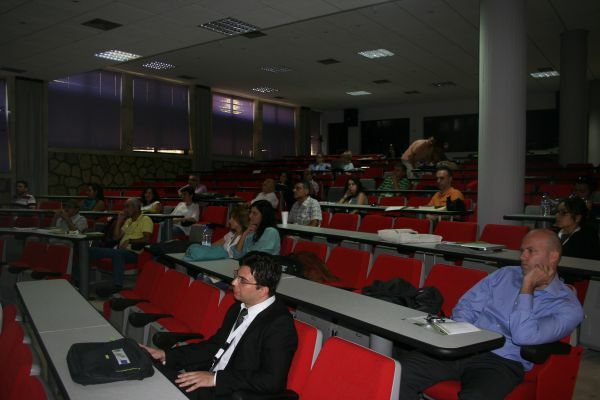 The symposium was organized with the Cooperation with the Centre of Environmental Education of Edessa-Giannitsa (CEE). The CEE (as legal representative of the Greek Ministry of Education, arranged the live broadcasting of the afternoon sessions from the Greek school network (the program for the live broadcasting is presented in the link : http://vod.sch.gr/video/iptv/646 ). The primary goal of the symposium is to promote research and knowledge exchange in the field of Olive Oil Mills Wastes Management at national, Mediterranean and international level. The Symposium will present the most recent (innovative and state of the art) technological and scientific methods and techniques in the field of olive oil mills wastes management, environmental impacts and protection, soil and water remediation, wastes valorization, legislation. The Symposium will include technical paper presentations, keynote lectures, panel discussions and open forum sessions. The Conference Center of MAICh with its versatile design combines first class standards of comfort and service with the latest technology in a prestigious location. It is situated in a picturesque, typical Mediterranean pine-tree forest setting, 3 km south-east of the city of Chania, 13 km from the international airport and 1 km from the port. The Conference is organized by the Soil Science Institute of Athens - Hellenic Agricultural Organization "DEMETER" in the framework of the PROSODOL project. No registration fee is foreseen for the participation in the Symposium. Participation, presentations, attendance, informative material, proceedings, coffee breaks and meals are free of charge. Visit Symposium web site and Register on line. Special rates have been made for the participants of the Symposium at many hotels in Chania and also at the MAICh Conference Centre. 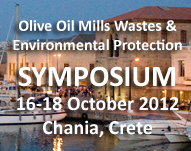 All participants are expected to make their own hotel arrengements, by sending the Accommodation Form and by contacting directly the hotel of their choice, mentioning that they are particpants of the "Symposium CRETE 2012 - Olive Oil Mills Wastes and Environmental Protection". Accommodation is available at MAICh's academic village or at MAICh's dormitories. The participants are kindly requested to inform the Committee of the project for their hotel choice in order transportation to and from the Conference Centre to be arranged. The Environment Directorate-General of the European Commission will host a high-level conference on 'Soil remediation and soil sealing' in Brussels (Belgium) on 10-11 May 2012. It will be opened by Janez Potočnik, Environment Commissioner, Ida Auken (invited), Danish Environment Minister and President-in-Office of the Environment Council, and Corrado Clini, Italian Environment Minister. The conference is part of the European Commission's work in implementing the Soil Thematic Strategy (COM(2006) 231) it adopted in 2006. It aims to highlight the importance of tackling soil contamination at an early stage and the opportunities created in the European remediation industry. Moreover, it will underline how addressing contaminated sites and brownfields can be helpful in limiting land take and soil sealing on fertile agricultural land. At the conference the Commission will present its Soil Sealing Guidelines that are being finalised. These guidelines are part of the Soil Thematic Strategy and will contribute to achieving the land take target proposed in the Roadmap to a Resource Efficient Europe (COM(2011) 232. 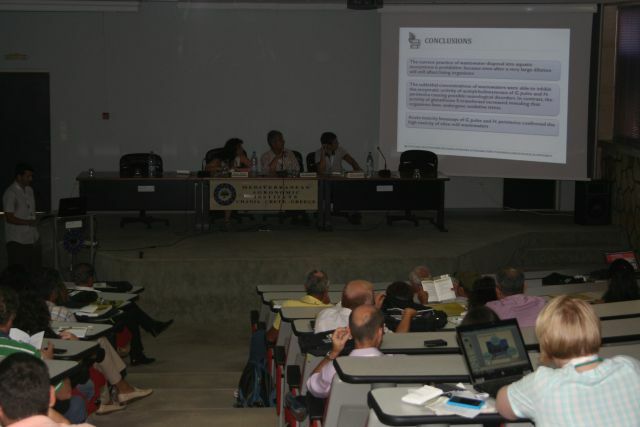 The Italian Workshop for 2011 was organized in Albenga, Savona by CERSAA. 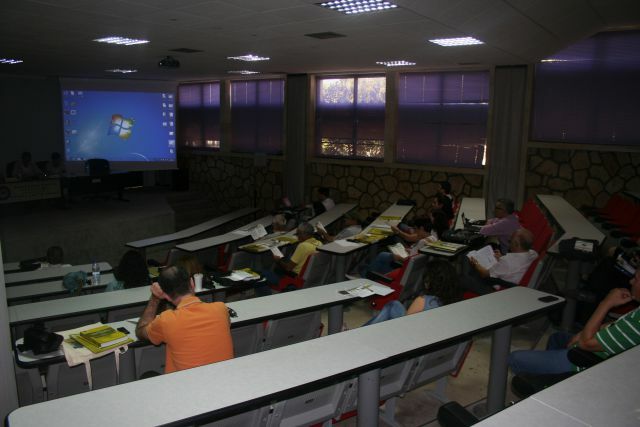 The workshop took place on 6 October 2011 and targeted mainly to scientists and stakeholders of the olive oil sector. The Greek Workshop for 2011 was organized in Rethymnon, Crete by the Soil Science Institute of Athens with the cooperation of the other Greek beneficiaries (TUC and IMS) and with the support of the Municipality of Rethymnon and the Union of Agricultural Associations of Rethymnon. The workshop took place on 18 May 2011 with the participation of nine speakers, who presented themes relative to the impacts of olive oil mills wastes disposal on soil and water, waste management, cost effective and practical technologies for waste pre-treatment, use of wastes for irrigation. Cooperation between LIFE-PROSODOL, LIFE-OLEICO and LIFE-INFOIL for the forthcoming 2nd Greek Workshop of PROSODOL in Crete on 18 May 2011. 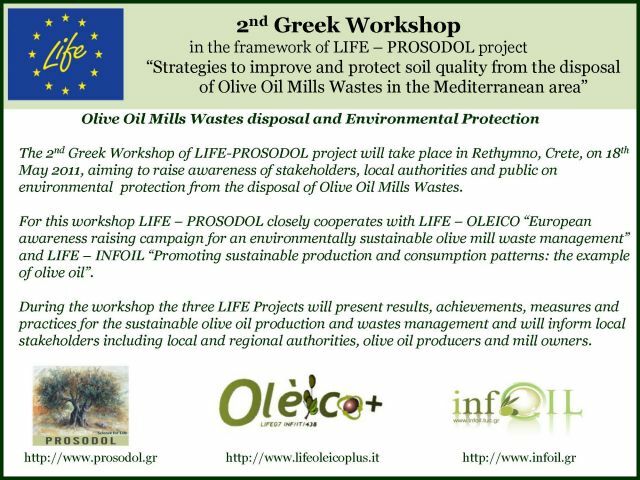 Three Workshops were organized in Greece, Italy and Spain by the respective partners of PROSODOL to present the project and to discuss with experts the problem of olive oil wastes management in the Mediterranean region. Two TV reportages focused on olive culture and PROSODOL project were broadcasted on 14/11/2009, 5/02/2011 and 18/06/2011 on Tele Genova in the frame of TV broadcast "AgricUltura News" dedicated to the regional agricultural sector. Dr. Federico Tinivella, the leader of CERSAA scientific team, presented the objectives and the first results of PROSODOL project. In episode 3 an interview to Dr. Christina Marouli, former auditor of Prosodol project, is also presented.